Grape Fruit is a subtropical citrus fruit. It grows in cluster like grapes so that it named after grapes. It was first cultivated in Barbados in West Indies. As it belongs to a citrus family it naturally derives from cross-breeding between Orange and Pomelo. It has sour and bitter in taste but it has many healthy benefits & this is the topic of today, that is we will be discussing some Health Benefits of Grape Fruit. Its flesh is sliced like orange but it skin is quite thick and tough to cut. It is very juicy and it varies in three different colors red, pink and white. It is full of vitamin C and is very acidic but its not the only benefit it has several other nutritional benefits that we can only get from natural fruits that Allah has given to us. It contains Citric acid, Natural sugars and essential oils. It is a combination of Vitamin C and less amount of Vitamin A, B complex, K and E. A very large amount of calcium, folate, potassium, iron, copper and phosphorous minerals are found in it. Many nutrients such as liminoids, bioflavonoids, glucarates and lycopene are anti-cancers and they also helpful in fighting for various other diseases. Due to its no. of health ful as well as disease healing benefits it is called as the “Fruit of Paradise”and it is also a storehouse of Polychemicals. 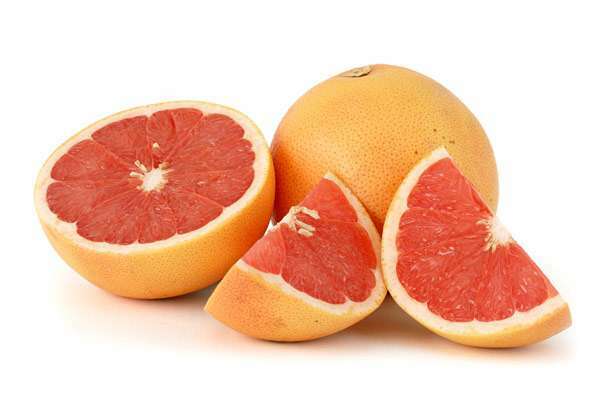 Some grapefruits are seedless while some have around 50 or above seeds of half inch length. Grapefruits has lot of advantages and health benefits it is not just a source of weight loss but in its Albedo contains anti-cancer agents that fight for various other diseases. Some Benefits of Grapefruit are described as under. Grapefruit contains Vitamin A and antioxidant flavonoids (naringenin) and a source of lutein, beta carotene, lycopene etc there properties are beneficial for vision. Beta carotene are necessary to improve and keep the eyes healthy. A huge amount of beta carotene is found in pink and red grape fruits. 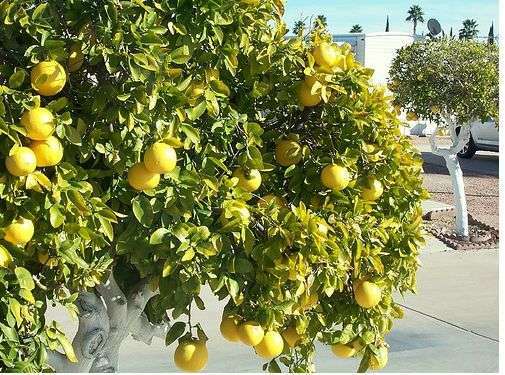 Only one grapefruit is enough for improve and maintain the vision of eyes. Grapefruit has large amount of flavonoids that keeps the body safe from illness and other diseases because it fight for infections in the body. It saves us for cardiovascular diseases because it provides immunity to fight against these diseases. Grapefruit is full of vitamin C. its juice helps to increase pH and speed up the rate of secretion of citric acid. if you drink one glass of grape fruit juice everyday then it reduces the risk of stones in body. A glass of grapefruit juice with other different syrups helps to reduce the fever. Grapefruit helps to alleviates insomnia if you drink a glass of grapefruit before sleep. If add equal amount of lemon juice and grapefruit juice with a little honey helps to reduce your tiredness and fatigue of the long tiring day. Take a glass of grapefruit juice twice a day for those who want to reduce their weight because it has Fat burning enzymes which helps to reduce starch and absorb sugar from the body so it’s good for weight loss. It helps to reduces the unnecessary production of cholesterol from liver because it has certain compounds and enzymes which absorbs fats from body. Antioxidants helps to maintain cholesterol level in liver. It boost heart health and it prevents from heart diseases. If you are suffering from diabetes then grapefruit is a essential for health because it absorbs starch and sugar that prevents from diabetes. A glass of grapefruit with apple cider vinegar everyday makes you healthy because it contains salicylic acid which breaks down calcium in bones and builds cartilage in the parts of joints that leads to arthritis. Grape fruit has huge amount of bioflavonoids that prevents the production of cancer cells that spreads in breast cancer patients through the removal of excess estrogen. 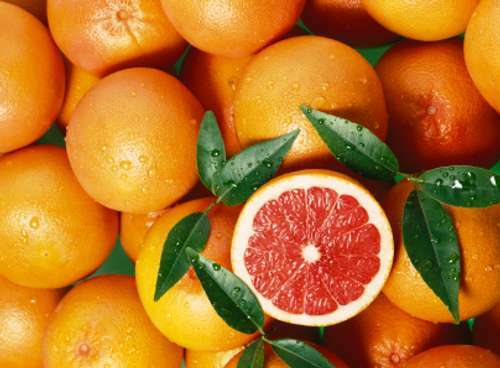 Lypocene it is a carotenoid pigment and it gives red color to the grapefruit.It acts as scavenger of cancer that causes free radicals it fight against tumours and cancer. Albedo the white part of grapefruit contains anti cancer agents that helps to fight against various other diseases. Excess of everything is bad. Despite of many other advantages of grapefruit but one thing to remember that excessive consumption of these citrus fruits can trickle body calcium that causes the decay of teeth and bones.